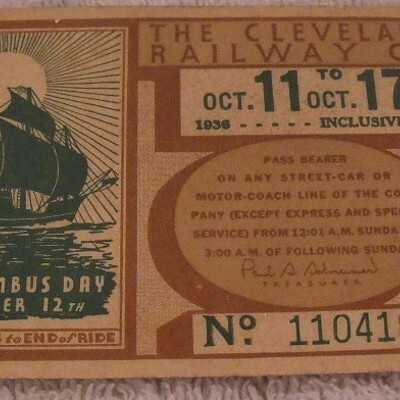 The Cleveland Railway Company fleet of 1,702 streetcars and buses moved a lot of people around the city in the first half of the last century. 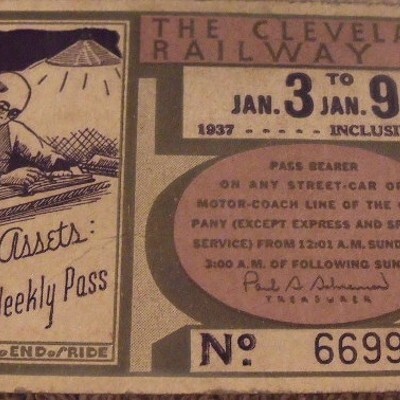 They also had some pretty damn cool weekly passes. 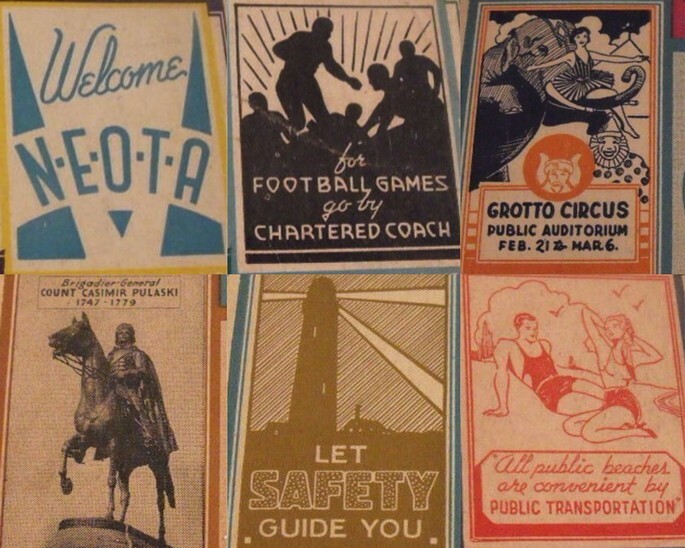 An ebay user recently posted a bunch of them from the late 1930s and it's interesting to see a little slice of life from back in the day. 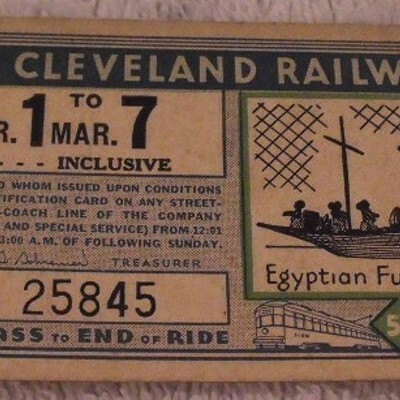 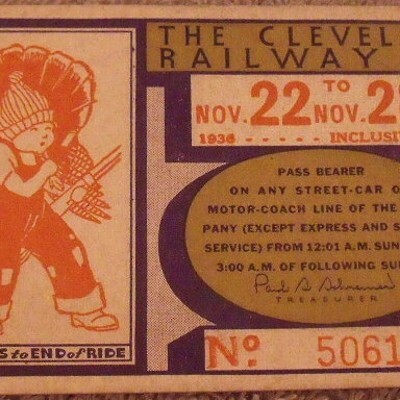 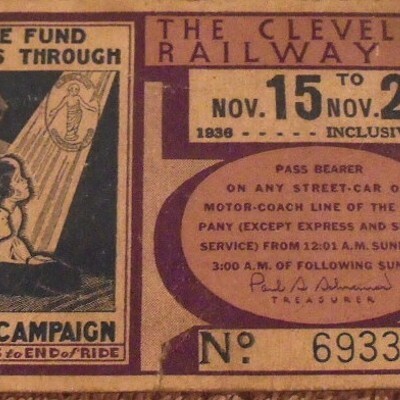 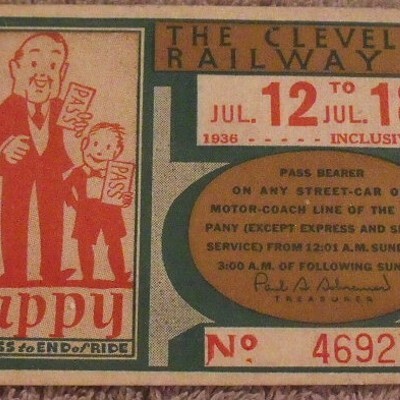 The 3.75-inch-by-2.5-inch tickets featured a new design every week: sometimes promoting events (like Cleveland Orchestra concerts or the circus), holidays (like Thanksgiving or Passover), Cleveland landmarks (like the the West Side Market or the public beaches), public safety reminders ("Walk Sensibly, Drive Carefully"), or random promotions for public transportation (the pass is a "magic carpet," apparently). 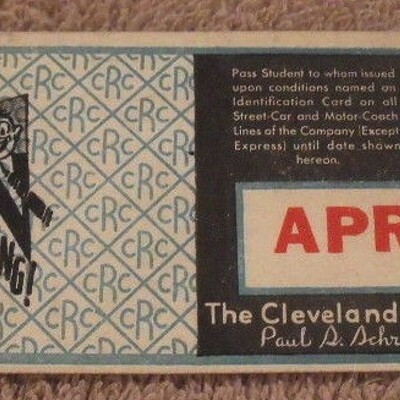 To learn more about the Cleveland Railway Company, click here for its page in the Encyclopedia of Cleveland History. 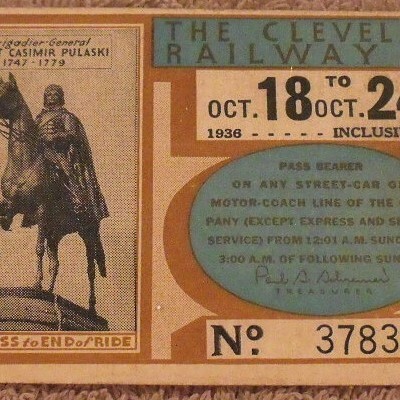 The person selling them (starting bids at $4.99 each) says the passes were purchased from a private railroad collector and all of them are now in protective plastic sleeves. 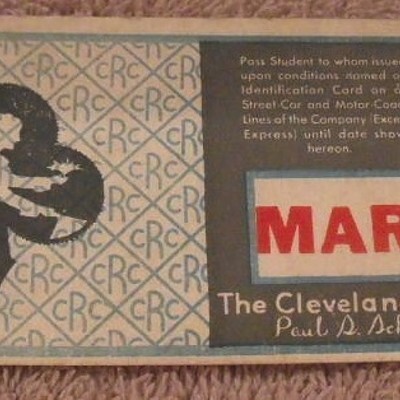 There's a link to the seller's profile under each picture, but they're worth checking out in the slideshow regardless.